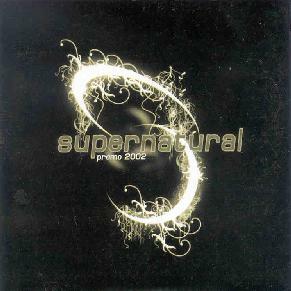 Super Natural was formed from the remains of the Hungarian band, Mood. The band plays a very doom inspired stoner rock style with few or any guitar solos. The vocals are mostly sung in a very laid back style. He sounds just like someone but I can’t place it right now. The demo has a great sound and production. There are 4 songs, the first being "Hologram Man". There is a small lyric sheet included in the promo CD, which is nice. "Christ Was An Angry Man" has some great lyrics and a cool Spirit Caravan feel. "Way Back Home" is very inspired by Black Sabbath. The band will start recording their first album in June. The record will be released by the Florida-based Arctic Music Group. Working title is "Holosonic". The LP will be out sometime around September. For more information you can visit the Supernatural web site at: http://www.supernatural.rocks.it. Contact via snail mail c/o Hegyi Kolos; 2001 Godollo, Szt. Janos u. 44.. III/11; Hungary.